The RCB600 series of 600W Configurable AC/DC switch mode power supplies are ideal for many applications in various industrial environments. These ultra-compact units are designed for high reliability and efficiency. Configurable and scalable solutions, with tight adherence to current safety regulations ensure a quality solution that meets the exact needs of a wide variety of applications. Each system consists of a main chassis assembly with up to eight (8) isolated outputs. Output modules are available in four single nominal output voltages: 5, 12, 24 and 48 VDC, with an adjustable range is 1.5V to 58V plus two double output modules with nominal outputs of 12 & 24 VDC output, each also offering an extremely wide voltage adjustability range. A built-in fan with variable speed control circuitry assures proper forced air cooling, minimizing operational noise and enhancing the life time of the unit. 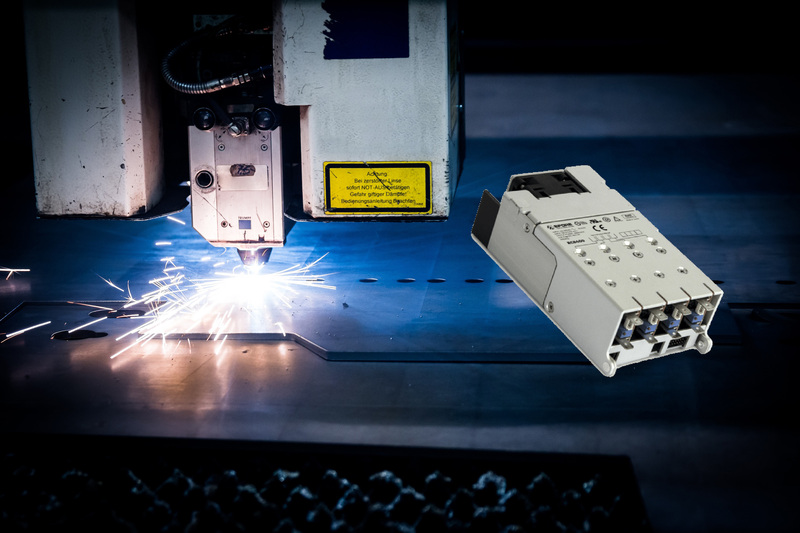 These units are particularly suitable for Industrial applications as Laser cutting, imaging and marking equipment as they can be configured with multiple outputs for the different power requirements needed all from one compact unit. With Luso having their own configuration centre samples can usually be supplied in a few days to your required specification. Utilising this service means a custom solution for your requirement can be provided with no MOQ requirements or other such up-front costs.